The Phillies missed out on the Manny Machado sweepstakes, but they may still add a slugger before the July 31 MLB trade deadline. According to MLB Insider Jon Heyman, Philadelphia is interested in Orioles outfielder Adam Jones. Sticking with their Baltimore theme, the Phillies would gain a great clubhouse presence in Jones, and an upgrade in the outfield over Nick Williams. Jones is an unrestricted free agent after this season. 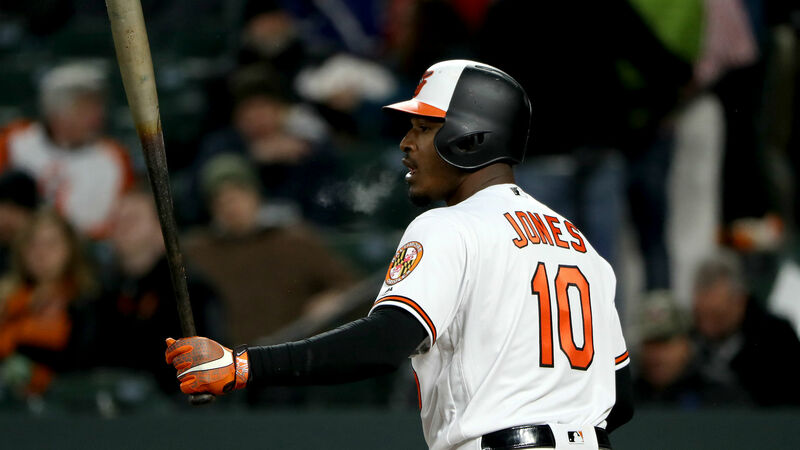 Jones, 32, has fallen well below his average totals this season, slashing .277/.304/.422 with 10 home runs and 38 RBIs, but some of that could be due to Baltimore’s struggling offense around him. The report also says the Indians are interested in Jones, while the Phillies are also monitoring Twins breakout star Eduardo Escobar. The Orioles (29-73) currently have the worst record in MLB. They have already traded Machado and closer Zach Britton, so more moves could soon be on the way.